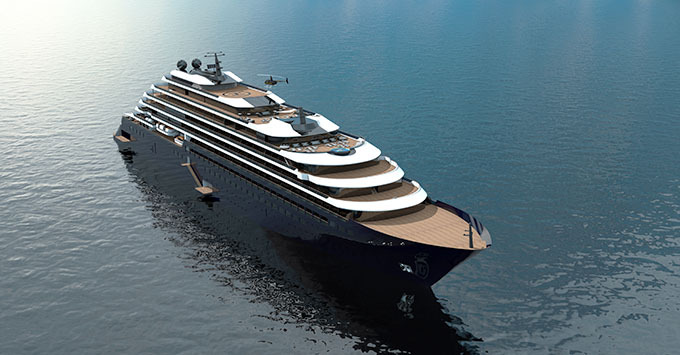 (12 noon EDT) -- One of the newest luxury cruise lines on the block, the Ritz-Carlton Yacht Collection has revealed its maiden-season itineraries and preliminary details on shore excursion categories. The line's first 298-passenger, all-inclusive ship will debut in February 2020. The unnamed ship will begin its inaugural season with a four-night Bahamas sailing out of Florida and continue with Caribbean cruises through March. It will then reposition to the Mediterranean, where it will stay through June, followed by Northern Europe for the summer. The ship will spend the fall in Canada and New England for prime foliage season before returning to the Caribbean in November and staying through the holiday season. No itineraries are the same, so passengers can book back-to-back cruises without repetition. Most sailings range from 7 to 10 days, and include a mix of big-name destinations and smaller yacht ports such as St. Barth's, Portofino and Mykonos. Itineraries allow for some overnight port calls, as well. "The itineraries and intimate shore experiences are not only unique and forward-thinking in their design, but illustrate our commitment to providing rare opportunities to today's luxury traveler," said Lisa Holladay, Global Brand Leader for The Ritz-Carlton, in a press release. In addition, passengers will have access to a Concierge Ashore who can create individual, private onshore experiences and tours for passengers. Reservations will open for these sailings in June 2018. Ritz-Carlton and Marriott Rewards loyalty members will get a priority booking opportunity in May 2018. The Ritz-Carlton Yacht Collection will feature luxury yacht-like cruise ships with all-balcony cabins, multiple dining venues with an intimate feel and water toys. Fares will be all-inclusive with gratuities, alcoholic drinks and Wi-Fi among the inclusions.